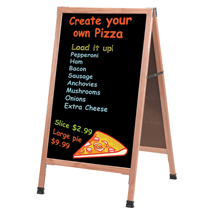 Double Sided A-Frame Sidewalk Boards make great POP signs or Menu Boards that broadcast messages effectively. Great for markets, retail stores, restaurants and pubs. Features include: steel reinforced corners, weather resistant hardware, unique plastic camel foot floor leveling system and full width aluminum hinges. Choose from traditional solid Oak wood frame with either clear lacquer or cherry finish. 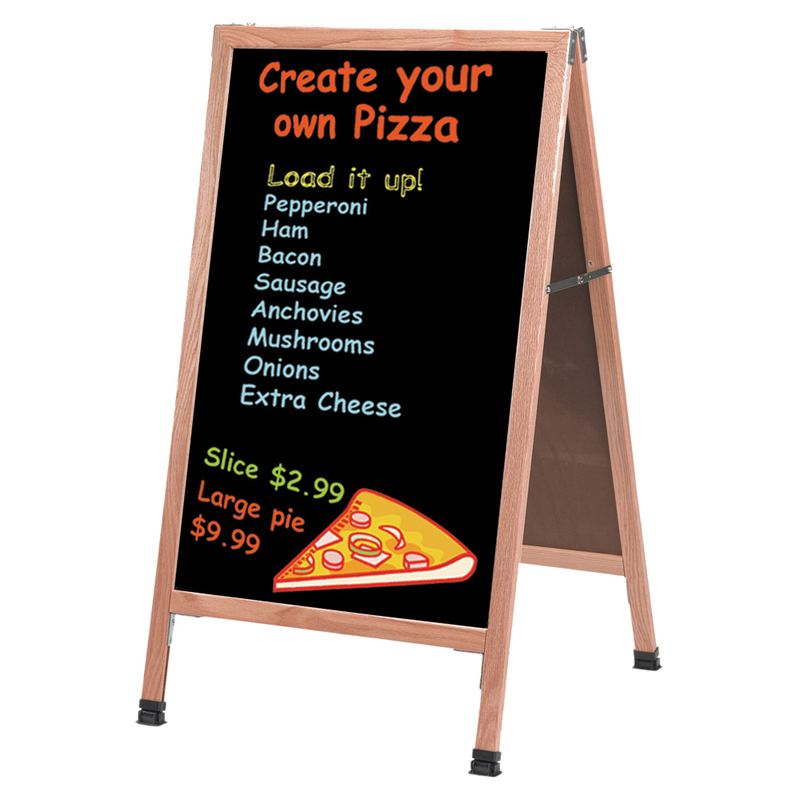 Available with either Black Chalkboard or White Markerboard writing surface.